This post was originally published June 24, 2015. I have updated it extensively and republished it on April 19, 2016. 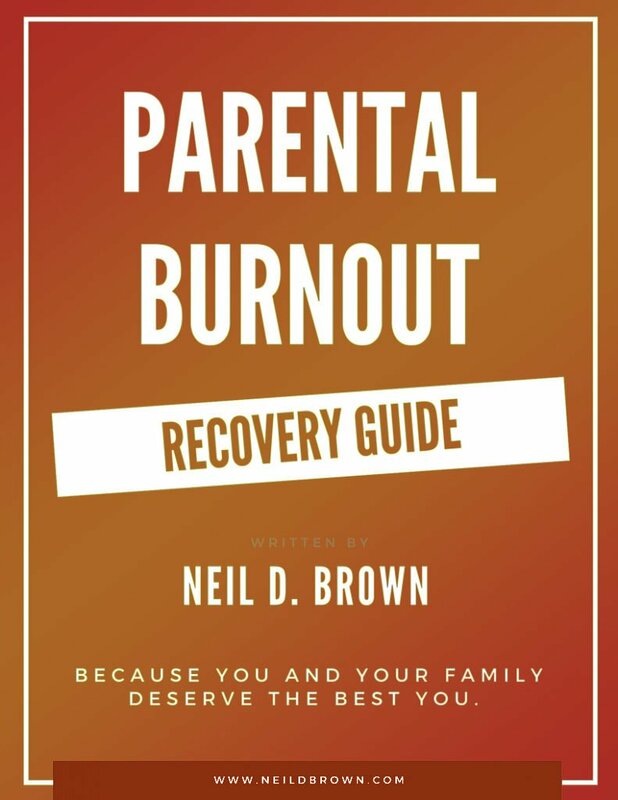 We make it through our own childhood and adolescence — even achieving some stability and fulfillment in adulthood — only to find our own kids playing out the very same weaknesses we’ve worked so hard to overcome in themselves. Let’s look at a situation that I see fairly frequently: the anxious mother and anxious daughter. Regina, temperamentally sensitive by nature, had experienced a challenging childhood. Her father was often under the influence of alcohol and there was loud fighting in the home until the time of the divorce. After the split, Regina hated going to Dad’s house, and Mom was busy working all the time. So Regina was left alone with her older sisters, who were busy with their own lives. Regina grew up and achieved success, watching out for and avoiding trouble, fulfilling all her responsibilities, and yes — feeling anxious virtually all the time. She went to college, got married, and continued to “do everything right.” But despite finding success in many areas, she still felt anxious much of the time. Regina went for therapy and tried various medications, none of which really solved the problem, though she became much better at understanding the origins of her anxiety and learned some skills to manage it. Regina had married a wonderful and supportive man and that helped tremendously as well. Regina and her husband were delighted when their daughter Hanna was born, and gave her all the love, attention, nourishment, and cultural advantages possible. Regina used her default position of “avoiding trouble and doing everything right” in her parenting, as she did in other aspects of her life. This wasn’t always easy, because children don’t always give good or reliable feedback! And since Hanna had a sensitive temperament like her mother, she was often upset, reacting strongly to anything uncomfortable in her environment. Because Regina felt like she needed to do everything “right” for Hanna, and because doing everything right is an impossible task, Regina often worried about Hanna. She would worry about Hanna’s upset feelings and tried hard to fix whatever was upsetting her. Regina would even get frustrated and upset with Hanna when her attempts to help were unsuccessful. Hanna in turn worried about her mother getting upset, and since her mother being upset was so unpredictable, yet common, Hanna developed anxiety and worried about many things — including her mother worrying! Hanna and Regina managed pretty well through Hanna’s childhood, but as Hanna entered adolescence, her anxiety became a much bigger issue. Her tendency to worry inhibited her ability to navigate the new social environment of middle school, as well as her ability to build her own independence. Mom’s anxiety about Hanna’s difficulties increased Hanna’s worry and anxiety and made it much harder for Hanna to take appropriate risks and to separate from Mom and Dad. And of course this made Mom worry even more! Mom heard me speak at Hanna’s middle school, and asked if I might be able to help them. I met with Mom, Dad and Hanna, and it did take a few sessions before everyone began to understand how Mom’s childhood issues and anxiety were driving Hanna’s anxiety and how Hanna’s difficulties were triggering Mom’s anxiety. And I couldn’t deny any of that. You’re absolutely right, Regina. You’ve worked hard and come a long way from your traumatic childhood. And, as you point out, you’ve done a fabulous job with Hanna. Hanna has been amazingly successful; she gets all A’s, is an accomplished flutist, has excelled in gymnastics, and is a delightful, engaging young lady. She couldn’t have accomplished all of this without your love and support. But you’ve got to hand it to Hanna; she did what kids all seem to do… that is, they find our weaknesses. The counseling took time, but with calm support from her parents, Hanna started taking some small social risks, which worked out well. Mom, Dad, and Hanna started a family ritual. Before dinner every evening, they all practiced slow, deep breathing, an important anxiety reduction technique. Mom worked on having more faith in Hanna’s ability to grow independently. And much to Mom’s credit, she embraced the opportunity to take another step away from her painful childhood, and let go of her anxiety. In order for Regina to help Hanna let go of her anxiety, Mom had to let go of her own. She couldn’t give Hanna confidence and calm if she didn’t have it to give. What’s keeping me from dealing with my kid more effectively? The answer to these questions could create a healing opportunity for both of you. Have you ever found your past repeating itself with your son or daughter? If so, I would love to hear about it. Please share your thoughts in the comments below. And if you found this post helpful, I would truly appreciate it if you shared it on Facebook and Twitter.